Because of the risk of aortic dilation and aneurysm formation, patients with bicuspid aortic valve should be examined before or at the onset of pregnancy. An echocardiogram should be obtained to measure the diameter of the aortic root. 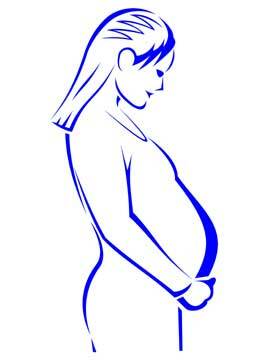 Significant enlargement increases the risk of aortic rupture during pregnancy, or as its consequence after delivery. Patients with mild aortic regurgitation usually tolerate pregnancy well, as long as left ventricular function is preserved.